The job opportunity in Delhi University for the post of Junior Research Fellow (JRF). Candidates who are eligible for the vacancy can submit their application form through the prescribed format. However, JRF is an award letter that is received from UGC after qualifying the NET JRF. The last date to apply for the vacancy of JRF released by DU is 3rd May 2019. So, aspirants should apply on or before the last date. 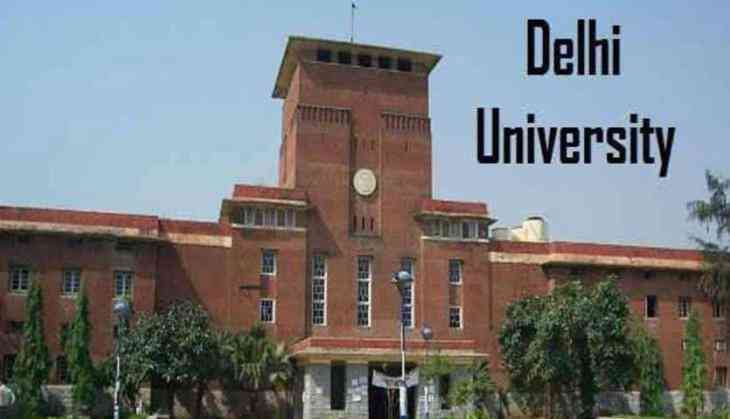 Delhi University has released a total of 1 post for JRF position. Candidates who are applying for the vacancy must have the degree of M.Sc. In Zoology, Microbiology, Bio-Medical Sciences or equivalent discipline. Applicants who are applying for the position must be 28 years and the age relaxation for the reserved category (SC/ST/OBC/PWD/Women) will be given as per the government norms. Candidates who fulfil the eligibility criteria required for the position can submit their application form and send their applications along with the relevant documents asked in the official notification. The application form for JRF can be sent via email to recttmoloncoldu@gmail.com. Candidates should send their complete application form by attaching documents before 3rd May 2019.